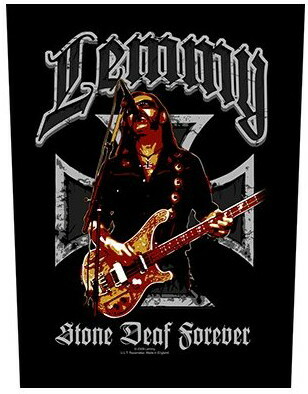 Back Patch featuring the Lemmy 'Microphone' design motif. Designed to fit on the back of a jacket. 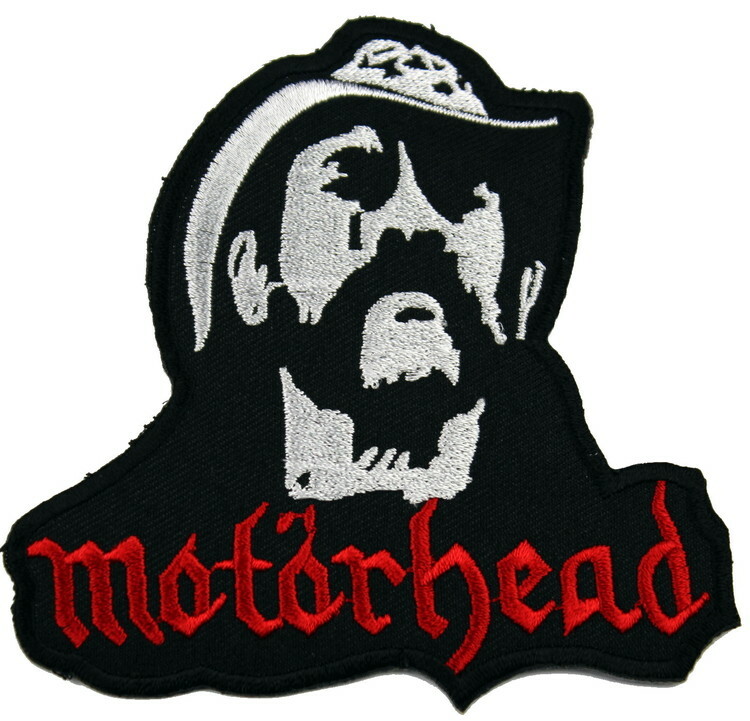 This is a sew-on woven patch, made from cotton, with standard backing and an overlocked edge. Four sided back patches measure 30cm (top) 27cm (bottom) 36cm (height).